Where is the best place to train Muay Thai in Chiang Mai? I am going to Chiang Mai and I want to train Muay Thai whilst I am there. Which gym do you think is best to go to? Of the Muay Thai gyms in Chiang Mai which accept foreigners, the two most popular and long running are Lanna Muay Thai and Chai Yai Gym. The two gyms are both good, but different. People tend to prefer one or the other. Lanna Muay Thai is more a traditional Muay Thai camp. What happens in a traditional camp is that you turn up for a session, do the run, and then start training rounds shadow, skipping, exercises and on the bag. Once you have trained there a few times a trainer may ‘take you under their wing’ and start teaching you stuff and holding bags for you. If you know your ‘stuff’ they will invite you to spar in the ring. This is traditional training and they have produced quite a few Champions, foreign and Thai. Lanna Muay Thai is located a couple of kilometres north of Chiang Mai city off the Huay Kaew Road (the one going upto the Zoo) on Soi Chang Kian. They train Monday to Saturday starting at 06.30 and 16.00 each day starting with a run. It is 300 THB a session. Chai Yai gym offers a more structured class and is less like a traditional Muay Thai camp in that respect. The training starts with a run and skipping. Everyone tends to get instruction each session and pad held for them. More experienced students will spar and do clench work. Everyone finishes by working on the bag. Chai Yai Gym is more difficult to find. Its about 7 km away from the Old Town. To get there you go over the Thanon Chareon Muang bridge (as though you were going towards the Train Station) and then turn right onto the Lamphun Road following the river. Carry on going until you get the Mae Ping Police station and then turn left. Follow the road and take your sixth turning on the right. Perhaps take advantage of their free pick up service From Chiang Mai town the first time you go (call +66 (0) 829 381 364 to arrange a pick uo) so you know how to find it. To train there reguarly rent a scooter (around 150 THB a day). 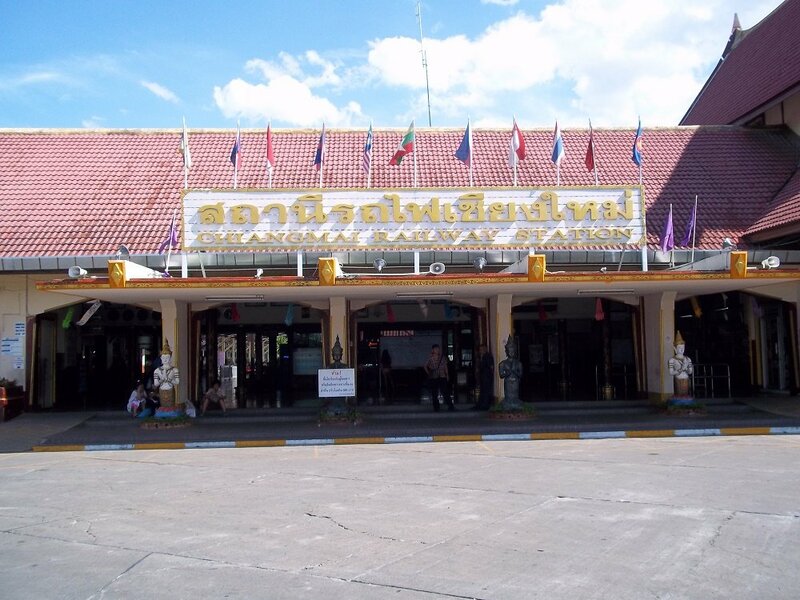 It is an easy 20 to 30 minute journey by motorbike from central Chiang Mai to the Chai Yai Muay Thai Gym. Training starts at 08.00 and 17.00 Monday through Saturday. Its 400 THB a session or 2,200 THB for a week twice a day.